The second-year student of the speciality “Chemistry” of the Faculty of Natural Sciences of our University Veronika Netyksha has presented the project “The chewing gum on the basis of honey, wax and propolis for prevention and treatment of periodontal disease” at the meeting of talented youth of the country with the President of Ukraine Petro Poroshenko. The head of this project is Professor of the Chair of Chemistry of the Faculty of Natural Sciences of our University, Doctor of Technical Sciences Serhii Kurta. 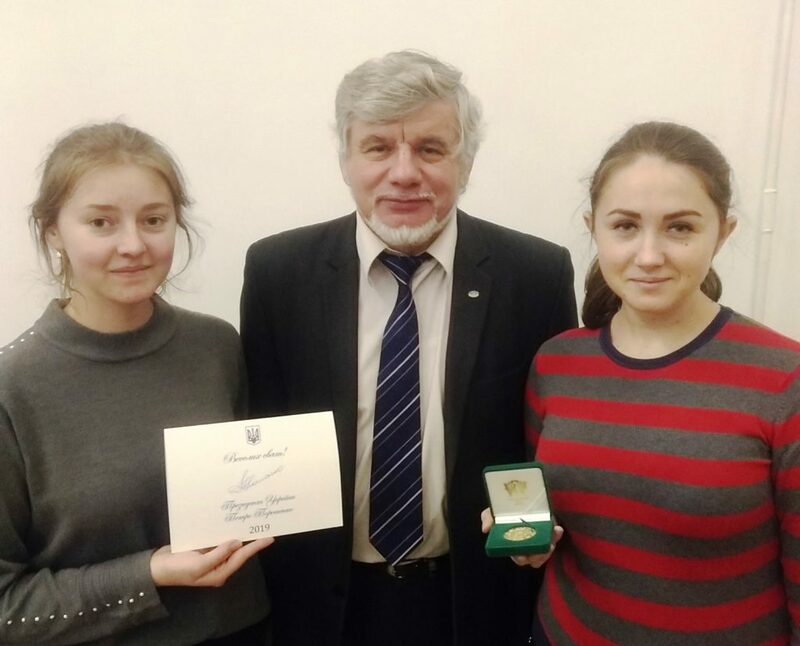 The presentation at the capital took place after this interesting scientific development by our university students had won at the contest of startups of Ivano-Frankivsk. At present it is going through the stage of clinical trials at the Scientific-research center of molecular microbiology and immunology of mucous membranes at Uzhhorod National University. It is worthy of mention that in Kyiv there were presented inventions and pilot developments of school and student youth in various spheres.